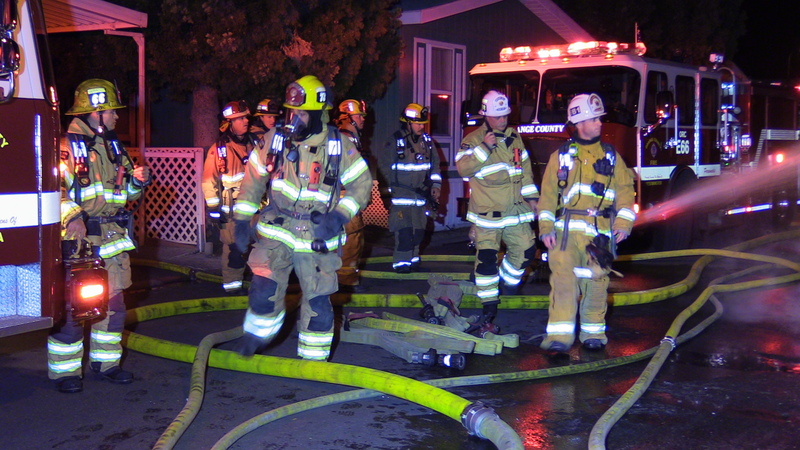 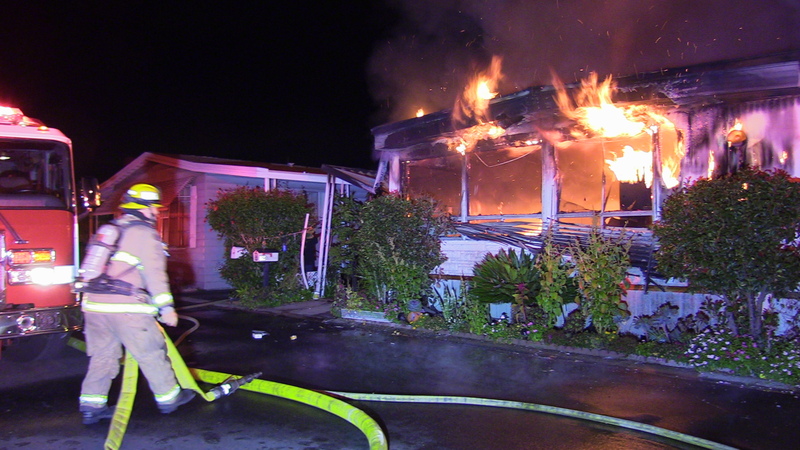 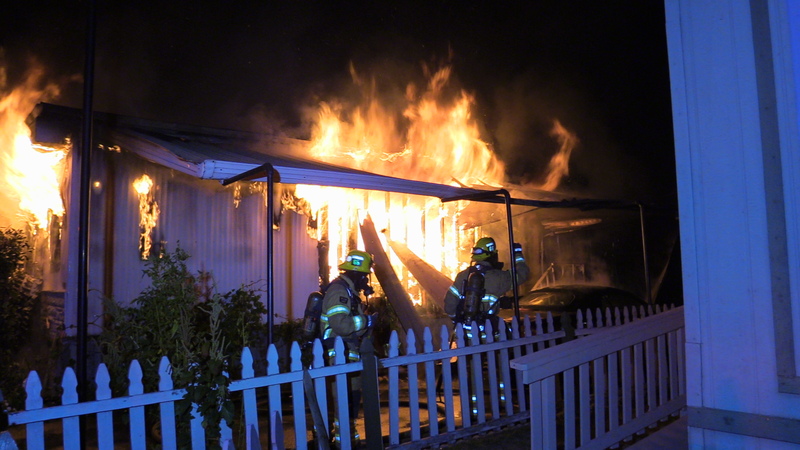 A family of four escaped their burning mobile home at 4801 W 1st St. in Santa Ana shortly before 2 a.m. 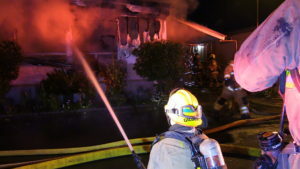 Arriving OCFA Firefighters reported that the mobile home was fully involved with fire and was a danger to the two homes next door. 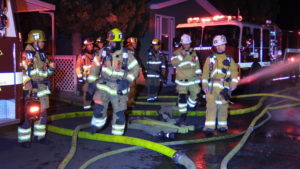 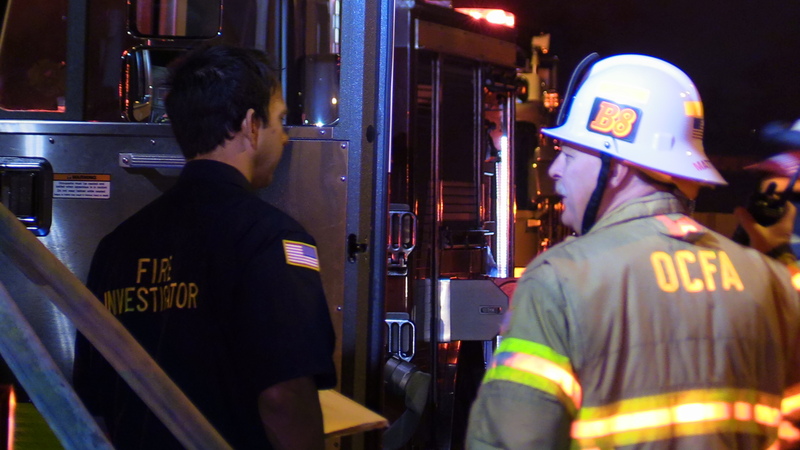 It took about 30 minutes for Firefighters from the Orange County Fire Authority, Garden Grove Fire, and Fountain Valley Fire to put the fire out. The mobile homes on each side of the fire sustained minor damage from the radiant heat of the fire. A Fire Investigator was at the scene interviewing the family and gathering evidence to attempt to determine the cause of the fire. 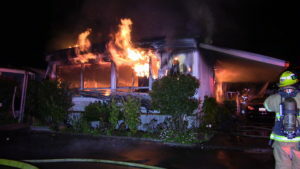 The Red Cross as requested by the Incident Commander to assist the displaced family. 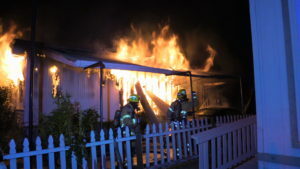 The home was a total loss.